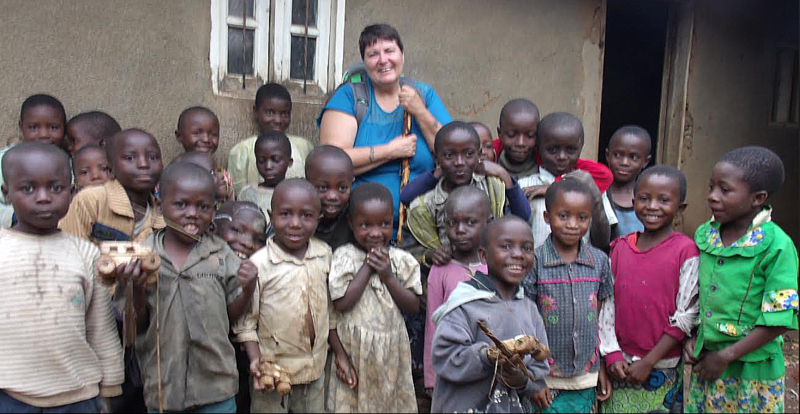 Based in Fiskdale Massachusetts, Kids in the Congo is a 501 (c) Non-Profit Organization which provides educational support to children in the Democratic Republic of Congo. In addition to individual sponsorships, we provide uniforms, backpacks and school supplies. We also assist in purchasing desks and chairs, establishing libraries and assisting in the funding for lab supplies in academic and technical secondary schools. Founded in 2008, we now have 141 children enrolled in Grades K - 12. Our first 4 graduates have gone on to college and in 2015, Cunney Vindikanwa became the first of our students to graduate from college as a teacher. We have assisted in the funding of a library at Kambale High School in Butembo, provided funding for furniture at Kindungu Primary School in Butembo and fully funded equipment for a printing and electrical lab at Mahamba High School. In 2016, we also provided school supplies for 130 students at the newly constructed Prince of Peace School in Beni. Kids in the Congo is partnered with the Augustinians of the Assumption (Assumptionists) a religious order with priests and brothers working in parishes throughout Congo. They identify children who would not be able to get an education without the assistance of one of our sponsors. We then pair children with a sponsor. Sponsors provide a $50 per year donation towards the education of their child. We do fundraising events at schools and churches throughout Central Massachusetts. One of our main sources of revenue is through the redemption of redeemable cans and bottles. We also receive donations and some grant monies.